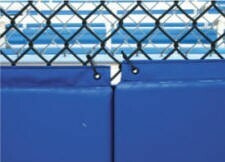 The Nissen EnviroSafe outdoor padding collection allows you to pad your stadium walls and fences so your players are protected when they're catching balls on the fly. Available in 14 colors to match your team's pride! The Nissen EnviroSafe outdoor padding collection allows you to pad your stadium walls and fences so your players are protected when they're catching balls on the fly. 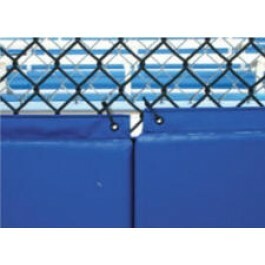 Attach Backstop Padding to your fence to reduce bounce-back and protect your catcher. For thicker foams, please contact our sales team toll free at (800) 878-7829 for a personalized quote.